Day one in Berlin, I thought it fitting to tour some of Berlin’s many symbols on the free (with tips) Berlin Walking Tour. 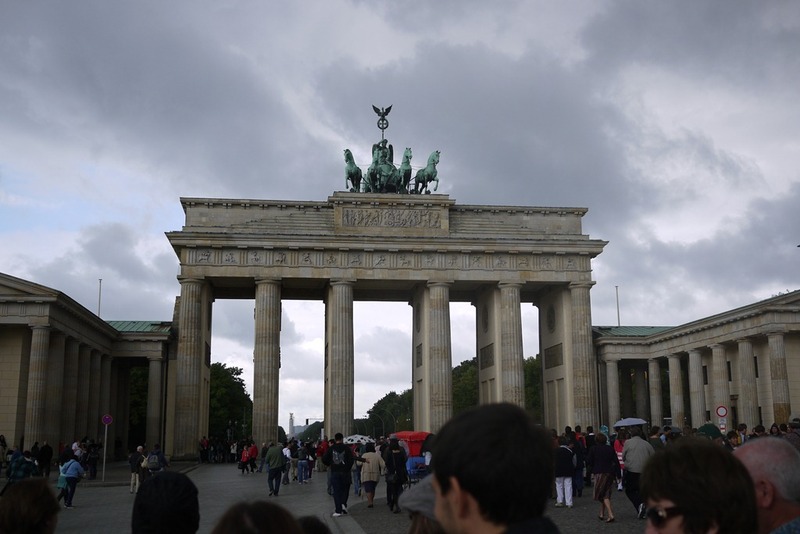 Approximately three hours with an English-speaking guide, the tour did a quick round of the major city highlights and opened my eyes to many of the serious stories Berlin has to tell. From the unification of the German states with the Kingdom of Prussia in 1871, through two world wars and foreign occupation, Berlin has stood witness to some amazingly dramatic and significant events. And although Berlin has every right to be riddled with baggage, the city seems to have emerged from it’s turbulent past as a symbol of tolerance. The history embedded in the streets and walls of this city is only made more impressive by the symbols it’s people have erected to remember the past and direct the future. Completed in 1791, this monument has played many political roles throughout Berlin’s history and has suffered some serious identity issues. Originally, the gate was topped with a statue of Victoria, the Roman goddess of Victory, who wore a wreath of oak leaves to symbolise peace. But when the French defeated Prussia in 1806, Victoria was taken by Napoleon to live in the Louvre, only to be returned to her original post eight years later, once the French were ousted. A little bitter about being dragged across the continent, Victoria swapped her wreath of peace for the iron cross to symbolise the military power of Prussia. Of course, once the Hitler rose to power, the gate became a symbol of Nazi power. Then, with the construction of the Berlin wall in 1961, the gate became a symbol of the division between the East and West Berlin and suffered the parades of U.S and Soviet politicians alike. Today, the gate, like so many other Berlin monuments, is associated with the reunification of East and West Berlin and sits amongst parliamentary and diplomatic houses to symbolise the coming together of ideas and power. 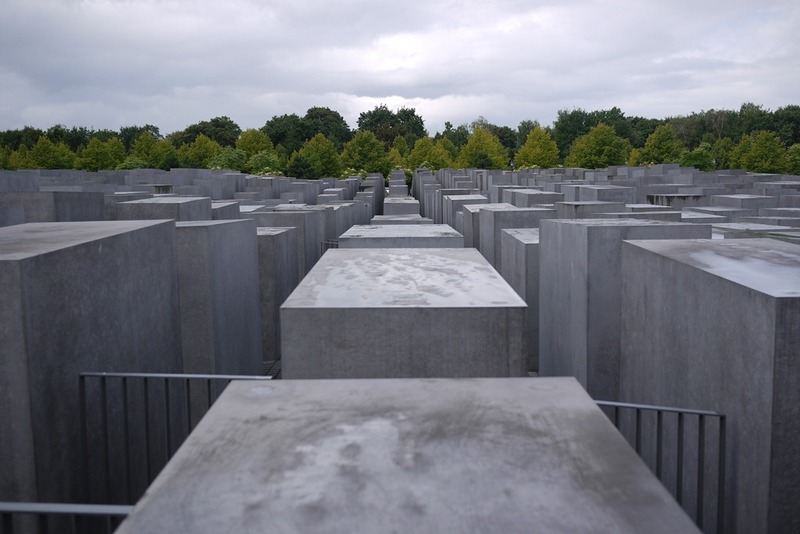 The most visually powerful monument I have ever seen, the Memorial to the Murdered Jews of Europe is essentially a field of 2711 concrete blocks (known as stelae), of various heights covering more than 19m squared. 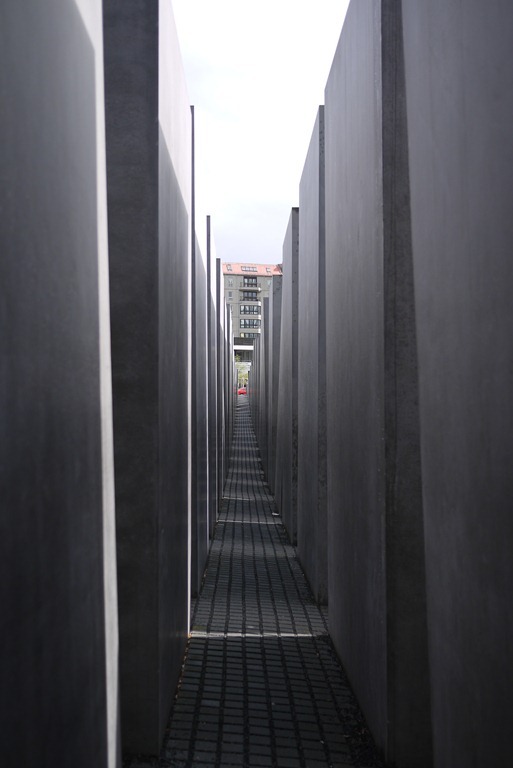 Inviting several interpretations, such as being a a 3D bar chart of the number of Jews murdered throughout Hitler’s rule, or an oversized representation of graves, this structure creates the feeling of being lost and detached as you wander through it’s intimidating maze. Whatever symbolism you choose, there is no denying this monument is a moving testament to a black time. As I walked through the concrete isles, the stelae towered over me, casting cold shadows that sent shivers down my spine. The stories are representative of the six million Jews murdered. The display is overwhelming, sickening, significant, honest and well researched, to the point where you can only emerge feeling drained, shocked and ill. 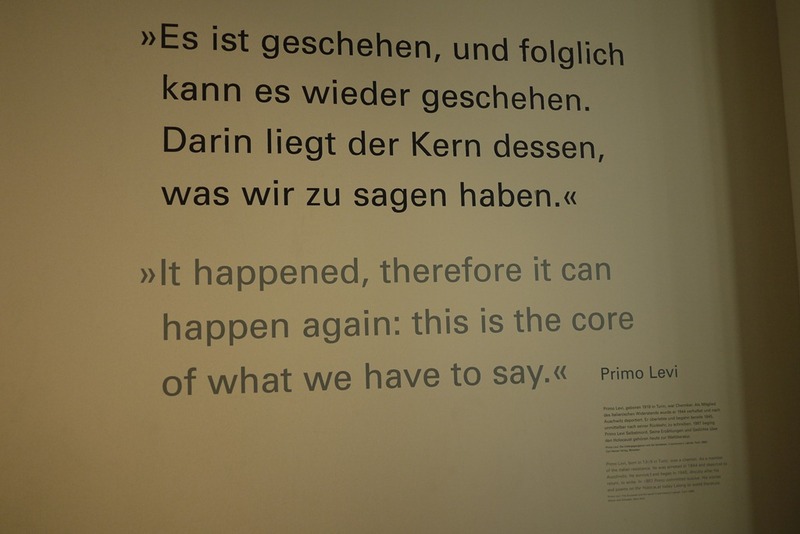 But that is exactly what is needed; this museum and monument teaches future generations about learning from the horrors of the past and the importance of tolerance. The people’s ‘open house’ of democracy has been built for literal transparency. The walls of the lower house are made of glass and look out to the foyer, while the glass dome-top looks down onto the parliamentary sessions. Understandable from Germany’s somewhat sketchy past in politics (e.g. giving Hitler unlimited ‘emergency’ power to arrest whomever for whatever), the Germans list governmental transparency quite high amongst social priorities and the Bundestag is a fitting symbol of this. Open from 8am to midnight free of charge, the Bundestag is one of the world’s most visited parliament houses, spruiking the modern city theme of tolerance to all who enter to see the stunning glass dome. A walkway, with an impressive radio-synced audio tour of the cityscape, spirals up the dome to give a stunning view of Berlin in all it’s multi-cultural and dramatic glory. The most famous symbol of Berlin, the Berlin Wall is an ugly tattered concrete partition in various stages of disrepair throughout the city. Although much of the wall has been removed and commemorated with a simple concrete strip along the ground, there are still parts of the city where it stands, like a grim memory sneaking around the corner of your mind. 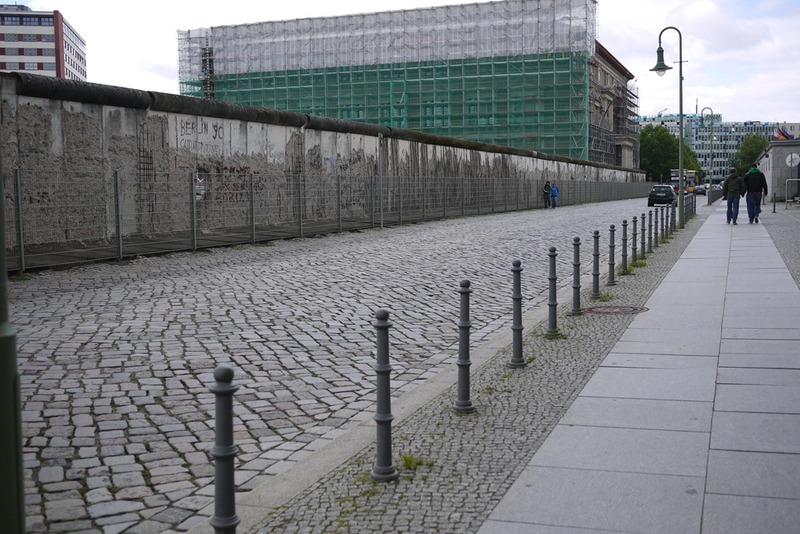 Built in 1961 to separate the Soviet and U.S sectors of Berlin, the “Anti-Fascist Protection Wall” remained in place until 1989, when government spokesperson, Gunter Schabowski, had a really bad day at the office. In a live international press conference Schabowski, who was ill-informed and unauthorised, misadvised that changes to travel restrictions would mean the end of the wall. In the the flurry of journalist excitement, Schabowski was asked when this would occur, thankfully, rather than replying in true politician fashion with a vague answer, he replied, “As far as I know effective immediately, without delay”. Thus the beginning of the end and the start of the new Berlin. 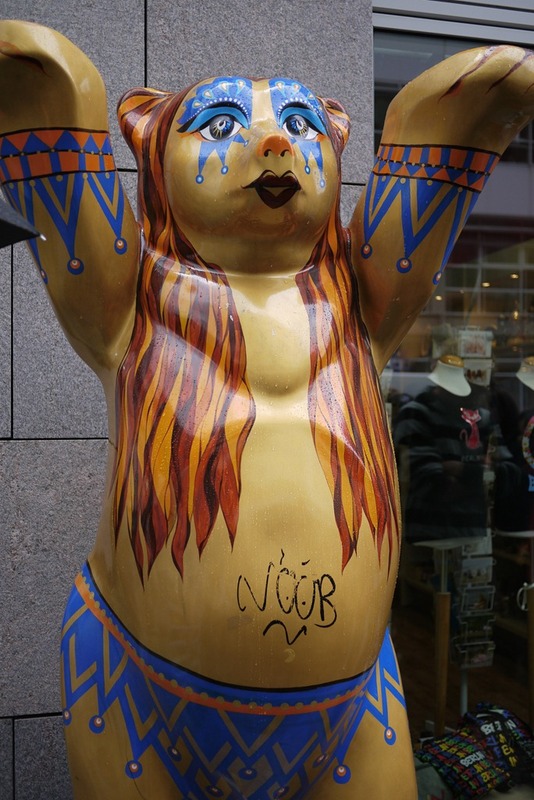 Another more quirky token of peace and unity scattered throughout Berlin is the UNICEF Buddy Bears. Originally installed in Berlin in 2002, these slightly creepy, clown-like bears have toured the world in the name of UNICEF to promote harmony and peace. 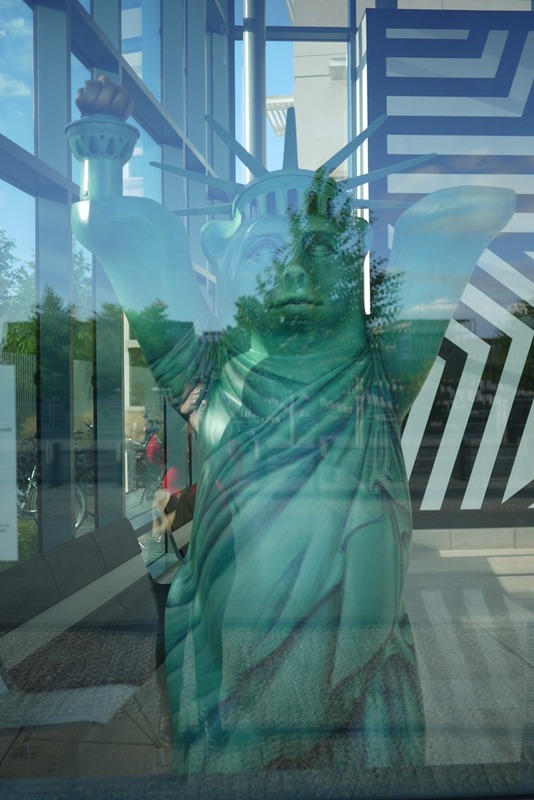 They can be found all over Berlin in various colours and symbolic roles. Hello Berlin. Will you be my friend?